Time to get excited about a sausage! Good Local Pyes Pa are pleased to be participating in the annual Good George Brewing Sausage Festival running from 21st May to 10 June 2018! Come in and sample our dish and don’t forget to vote if you think it’s great! Enjoy a Spicy bratwurst griller served with a potato, parsnip and fennel puree, marinated goats cheese, beetroot and horopito relish, crispy shallots and brown onion jus. 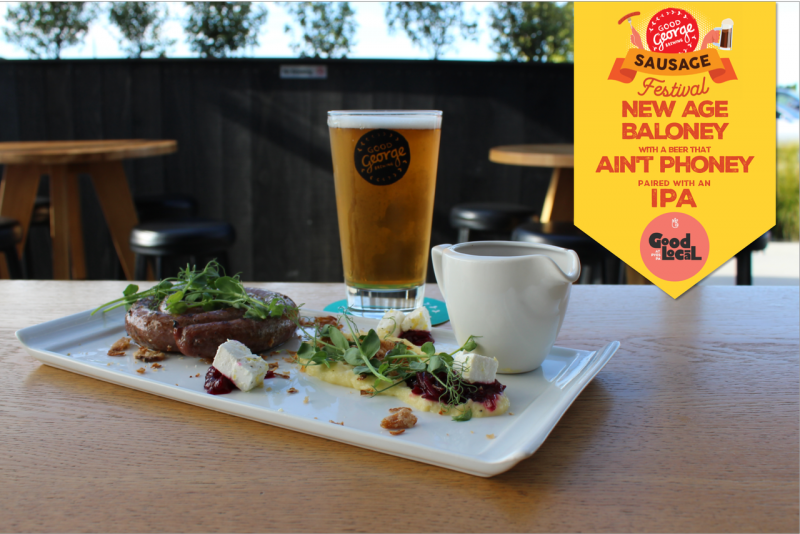 Thanks Blackforest Gourmet Butchery Ltd for helping us pull this fabulous dish together!